Royal Mail recently released special postage stamps to celebrate the 50th anniversary of a comedy TV series called Dad’s Army. A set of 8 stamps featuring different important characters from the popular TV show, along with interesting dialogues was released. These amazing stamps would be available to the public from 26th June. 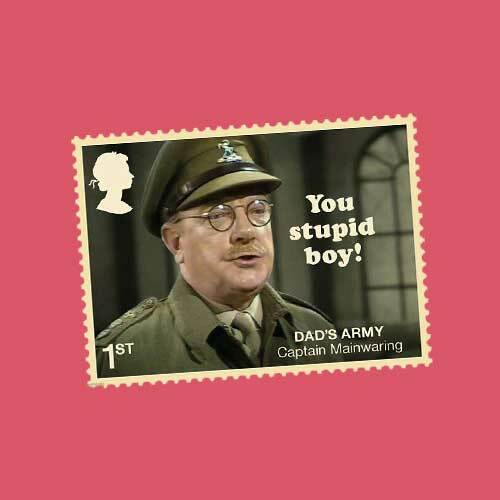 One of the stamps depicts the character Captain Mainwaring and his famous dialogue ‘You stupid boy!’ which was directed to a character named Private Pike. Ian Lavender played Pike’s character and is the only surviving member of the original cast. He was extremely excited about the stamp release. The humorous plot revolved around Captain Mainwaring and his men trying to evade Nazi invasion.